The risk of civil war is real, said El Tiempo (Colombia). So far, the opposition has refused to embrace violence, recognizing “how disastrous it would be to succumb to the temptation to take up arms.” But if the military itself splits, bloodshed will be inevitable. Maduro may copy Turkish President Recep Tayyip Erdogan, who used a failed coup attempt as an excuse “to purge the military” of all opponents. As long as the military gets its oil and drug money, it will stay loyal to Maduro, said Joaquín Villalobos in El País (Spain). Any other regime would have imploded by now, after four months of mass protests that have seen millions of hungry, angry people take to the streets. But the “right-wing military and the left-wing” government remain allies, because they jointly control Venezuela’s oil industry and profitable drug-trafficking business. 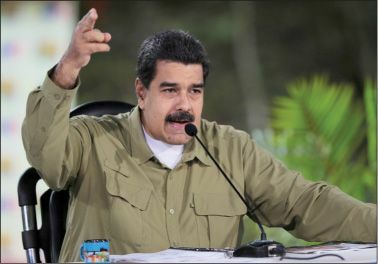 Venezuela is now a “military dictatorship in leftist clothing” that threatens to spread criminality to the whole region. It has already sent tens of thousands of economic refugees fleeing to Colombia and Brazil; if civil war breaks out, even more will follow. Mercosur, the South American trade bloc, has suspended Venezuela, and that’s a good first step. But only a boycott of Venezuelan oil can stop this regime.